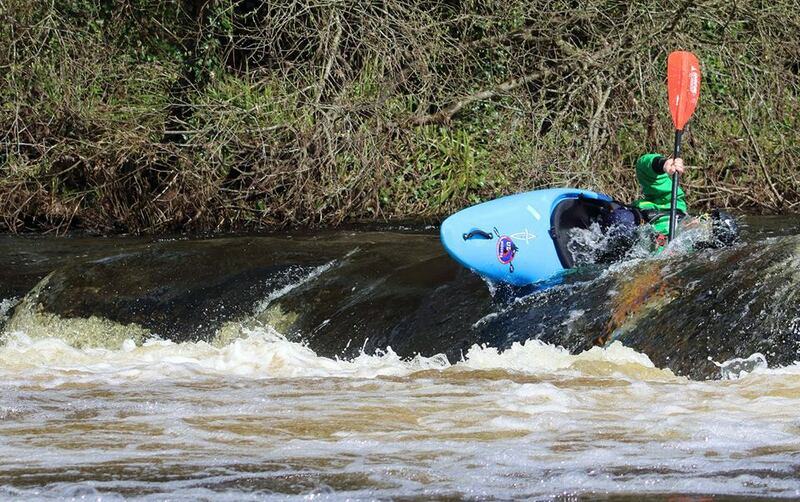 The University of Limerick Kayak Club’s 40th Anniversary celebrations kicked off on the 9th of April with a trip down the Castleconnell section of the Shannon. The Castleconnell has been a training ground for the UL Kayak Club since its inception and in recent years has proven its worth by aiding ULKC to win their 7th consecutive Intervarsity title this year. Overall we had more than 100 people kayaking down the river on the day, the group I was placed in had 30 members both young and old. We paddled down the river and after some of the more challenging rapids you could see the smiles of older members as if they had experienced the thrill of white-water for the first time once again. I overheard one person say ‘I forgot how much I missed this!’ We paddled the river quite quickly and without incident. At the get-off there was soup and tea provided by the volunteers who made the trip a roaring success. Paddler Conor Bredin ‘cooling his head’ towards the end of the river trip. Photo Courtesy of Eoin Howard. 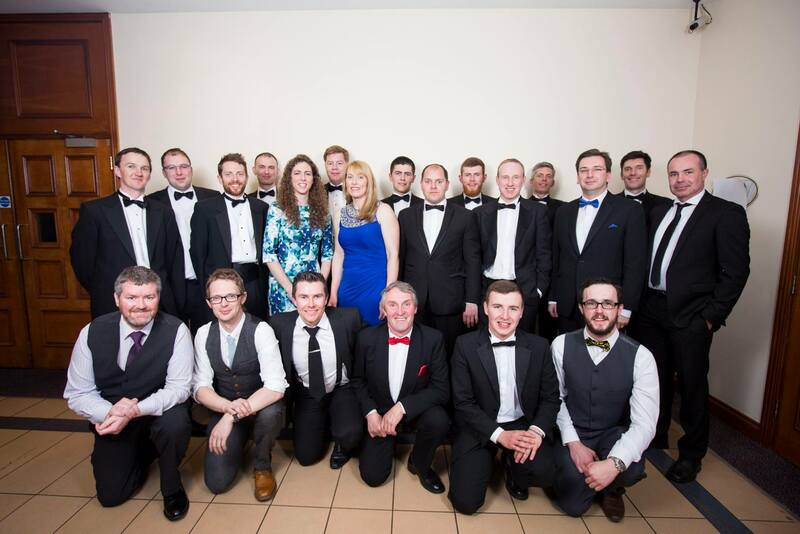 Later that evening celebrations took place in the form of a black tie ball in the SouthCourt Hotel. A prosecco reception welcomed both previous and present members, with some less than sober students hogging the photographer’s camera! The atmosphere was made all the more vibrant with older members meeting for the first time in years. Everyone settled in at their tables and tucked into a fantastic three course meal. After dinner there was an award ceremony where previous club captains were presented with medals of appreciation for the work they had done for the club. Seeing the drastic age difference between the previous captains was something I will never forget. Each one had put countless hours of work into organizing trips, training and the general progression of the club. After the speeches from Gavin Sheehan and other important actors in the club the real celebration started. Music was supplied by ULKC’s own band BanterStar Galactifunk. 40 Years in 1 Photo. Captain’s from the past 40 years after cleaning up for the ball. Photo courtesy of Oisín McHugh. On the Sunday morning weary heads arose to descend on the Curragower rapids located in the shadow of King Johns Castle. The rapids are present 2 hours before and after low tide, with the right water level they form a wave that is known to kayakers as ‘Gower’. Unfortunately the weather was quite poor with strong winds blowing down river making it extremely difficult for us to catch the wave and surf it. As the day progressed the weather improved and a large group of older members turned up. I decided to hop on the water with them just to make sure we didn’t have any surprises with them injuring themselves. While we were unloading our boats one of them spotted a Necky Orbit fish and his reaction was nothing less than that of a child at Christmas. They still knew the wave like it was the back of their hand and taught me a few tricks on how to ferry onto Gower. The Captain’s Memento. 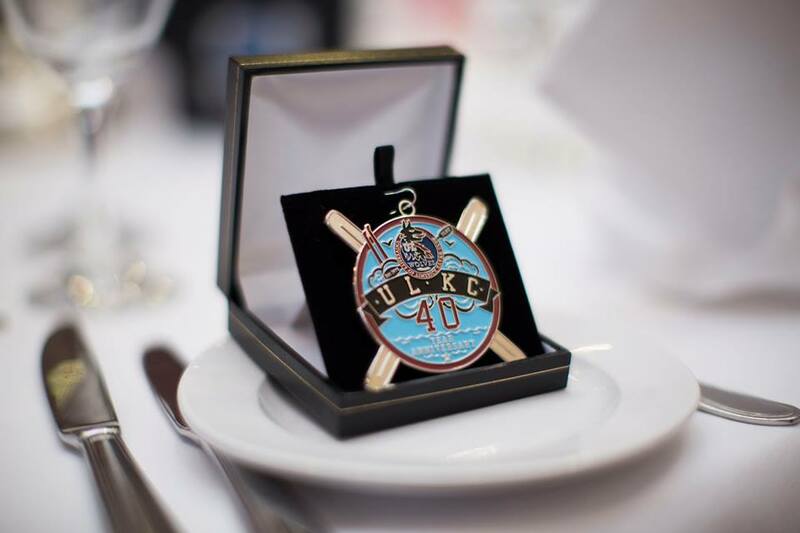 Engraved with “In honour of your dedication and hard work that made ULKC what it is today, we thank you”, these medals were awarded to the Captains of the past 40 years. 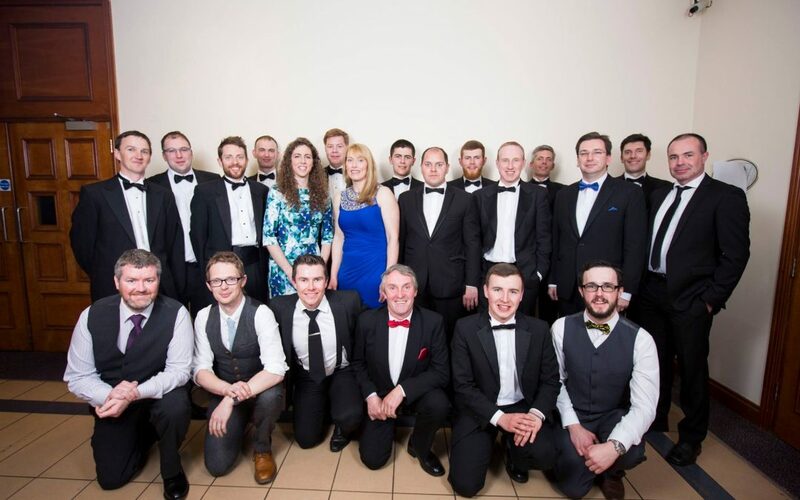 Photo courtesy of Oisín McHugh. A huge thanks to the organisation Committee of Gavin Sheehan, Caoimhe Farrell, Conor Lowe, Brian O’Mahony, Jack Phelan, Daragh Heffernan, Patricia Flynn, Orla Cullen and Stephen O’Dea for their months of work, without which the weekend would never have been the success it was.